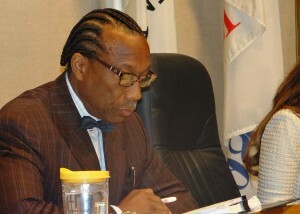 Two days ago, Commissioner John Wiley Price sent a letter to Councilman Casey Thomas II. Thomas will likely be one of the swing votes when the contract with Walt Humann’s foundation comes before the Council later this month. It’s an interesting letter, so I thought I’d share. Price’s thoughts on politics and history, in particular, caught my eye. Personally, I promised myself that I would not interject … much … but the needs of this community in a moment when the historic Fair Park grounds and the neighborhood contingent to it must supersede my own selfish whims. We cannot enter into any decision about the future of Fair Park or its operations lightly or without due diligence. My plea is that each of you moves with “all deliberate speed,” which means today what it meant at the christening of Brown v. Board. Take all the time you need to and sufficiently run this proposition to ground. Separate but equal has not permeated the historic penchant Dallas has for doing business as usual! You should not be rushed or pushed into any type of decision quickly or without fully surveying every alternative. This community should by your individual and collective efforts [be] fully informed of the positives and negatives before ANY plan is deployed. I tell you firsthand that the constituents we share can be supportive and very faithful. However, if they come to the perception that we lack the courage and respect to be transparent and relentless in our advocacy on their behalf, their love and support will evaporate quickly. My mother would say it this way: “Don’t be a 60 second hero and a lifetime fool.” Politics are painstakingly difficult and always a thankless job. But history is only kind to those who have earned a worthy place in it. I had said I wasn’t going to write no more poems like this. But I lied.